Looks just like the Betsy Ross House. This is a beautiful charming brick end unit townhome located in the Quaker Hill area of the city. It was wonderfully rehabbed years ago. There are hardwoods floors throughout the main level and second level. The kitchen has 42" cabinets, lots of storage, and extra large/deep sink. In addition there is a gas Jenn Air stove complete with four burners and a grill and griddle. All the windows are Anderson renewal and a 40 years old shingle roof. In addition to these great features, there is a fireplace in the living room, rear deck off the living room to enjoy relaxing and grilling with great city views and city lights at night. For peace of mind, the 40 years shingle room is only 12 years old. The master bedroom has a private bath, lots of closets with organizers and there is a 2nd floor laundry for added convenience. The huge 3rd floor bedroom has soaring ceiling, skylights and custom uplighting surround the room. This room can be a bedroom or a family room. There is a one car garage for off street parking and park next door. 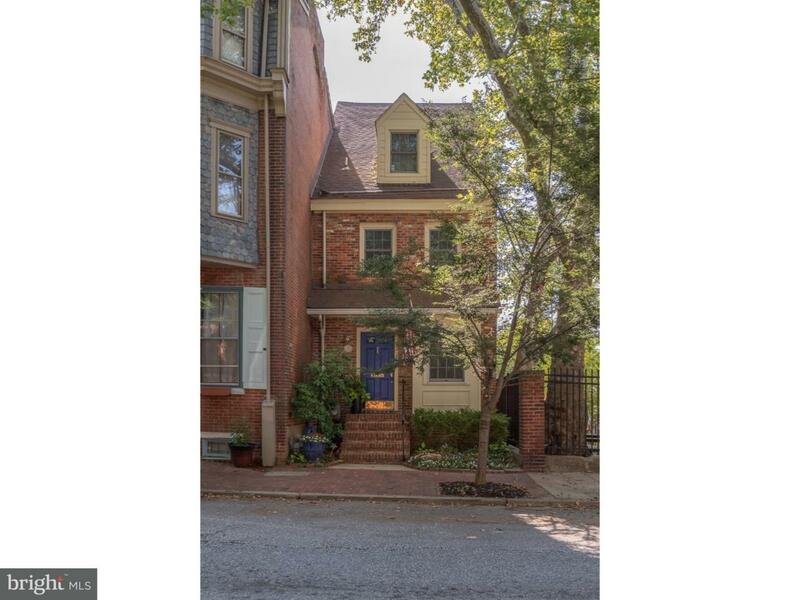 This home is immaculate, minutes to heart of downtown, train station and I-95. Definitely a gem.